Until 1991, no specific rules on product liability existed under Belgian law. Instead, persons injured by defective products claimed damages based on either the general provisions of tort law or on the rules relating to the sale of goods. 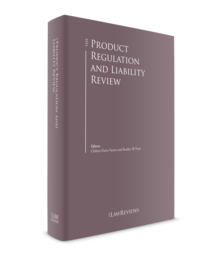 On 25 July 1985, however, the then European Economic Community adopted Council Directive 85/374/EEC on the approximation of the laws, regulations and administrative provisions of the Member States concerning liability for defective products (the Product Liability Directive). This Directive was transposed into Belgian law by the Act of 25 February 1991 concerning liability for defective products (the Product Liability Act), which entered into force on 1 April 1991, and applies only to damage caused by defective products brought into circulation after that date. It was later amended by the Act of 12 December 2000 modifying the Act of 25 February 1991 concerning liability for defective products, to bring it in line with Directive 1999/34/EC of the European Parliament and of the Council of 10 May 1999 amending Council Directive 85/374/EEC on the approximation of the laws, regulations and administrative provisions of the Member States concerning liability for defective products. The Belgian legislator has chosen to adopt the European directives on product liability in full, without derogating from their provisions even where it was allowed to do so. Since Article 13 of the Product Liability Act states that the Act does not affect any rights that the injured person may have under tort law, injured persons may also base their claims on tort law or contract law. The injured person may choose to do so in cases that do not fall entirely under the scope of the Product Liability Act, such as cases involving intangible or immovable goods, or cases where the injured person would like to claim damages from a party other than the producer. Tort claims in product liability cases are based on Articles 1382 to 1383 of the Civil Code, the basic articles on tort law. Contractual claims are based on Article 1641 of the Civil Code, which imposes on the seller of a product the obligation to warrant that the product is free from defects, or, in the case of consumer contracts, on Article 1649 quater of the Civil Code, which was introduced by the Act of 1 September 2004 concerning the protection of consumers as regards the sale of consumption goods, and transposed Directive 1999/44/EC of the European Parliament and of the Council of 25 May 1999 on certain aspects of the sale of consumer goods and associated guarantees into the Civil Code. The main authorities with regard to product regulation are the Minister of Economy and Consumer Affairs (the Minister), the Central Contact Point for Products (CCPP), and the Central Economic Council (CEC). The Consumer Safety Commission, which previously regulated product safety, was abolished by the Royal Decree of 13 December 2017 and replaced by a special advisory commission on consumption within the CEC as of 1 January 2018. The Minister can prohibit the placing of products on the market or impose safety rules on manufacturers; however, before being allowed to take any of these measures, the Minister must consult representatives of the manufacturers, consumer organisations and, where applicable, labour organisations. One way to do this is by consulting the special advisory commission on consumption When a product is not in conformity with either specific safety rules or with the general safety rule set out in Article IX.2 of the Code of Economic Law, the Minister may also order the recall of a product, but before doing so must first consult with the manufacturer of the product. The special advisory commission on consumption within the CEC is the general advisory body on product safety. It may give advice to the Minister with regard to product safety policy in general, organise consultations between manufacturers, consumer organisations and the Minister, and conduct research into safety issues. Finally, the CCPP only plays a coordinating role. It acts as a contact point for consumers, producers, distributors, employers and regulatory bodies from other Member States of the European Union with regard to safety regulation questions, and sends those questions to the proper authorities. It also centralises data regarding the safety of products. Article IX.8 Section 4 of the Code of Economic Law imposes the obligation on producers and distributors to immediately inform the CCPP of any safety risks associated with products that they have placed on the market and that would be in violation of the safety rules concerning that product. Producers and distributors must then cooperate fully with the authorities in their assessments of the risks involved. Not informing the CCPP of potential safety risks is punishable, on the basis of Article XV.102, Section 2 of the Code of Economic Law, by a criminal fine of between €208 and €200,000. Article 1 of the Product Liability Act makes a producer liable for all damage caused by a defect in its product. Thus, any injured person, regardless of whether he or she had a contractual relationship with the producer of the defective product, has the right to commence proceedings for indemnification. This right is not limited to consumers, although damage to goods can only be recovered if the goods are ordinarily intended for private use and were also used as such. The recovery of damages for personal injury are not subject to such a limitation. A product is defined by Article 2 of the Product Liability Act as any tangible, movable product, even if it is part of another movable or immovable product. This includes electricity and, since the Act of 12 December 2000, agricultural products and game. Though doubt could exist as to whether software would fall under the definition of product, both the European Commission and the preparatory works of the Product Liability Act have stated that software must also be considered a product for product liability purposes. the product was manufactured outside the European Union and the identity of the importer is unknown (the supplier will be released of liability, however, if it informs the injured person, within a reasonable time, of the identity of the producer or importer). The definition of producer is thus fairly broad and is interpreted broadly by the courts as well. An injured party may also base its claim on the law of torts, contained in Articles 1382 to 1383 of the Civil Code. However, Belgian law only allows for claims to be based on the law of torts where no contractual relationship exists between the tortfeasor and the injured party. Thus, a consumer cannot hold the entity that sold him or her the defective product liable on the basis of tort law. He or she will, in that case, have to either rely on the Product Liability Act or on the law of contracts. However, once outside the contractual domain, an injured party may sue any person in torts, no matter how remotely removed they are from each other. Where the injured party was in a direct contractual relationship with the seller of the product, it may also base its claim on Article 1641 of the Civil Code. While the law of contracts would normally not allow the injured party to claim damages from entities higher up the production chain with which it was not in a contractual relationship, courts have nonetheless allowed such 'direct claims', to circumvent the sluggish process of having each entity in the production process sue its direct contractual counterparty. Thus, where the defect can be traced back to the producer of the raw materials used in the production process, the end user of the product may directly sue that producer of raw materials pursuant to Article 1641 of the Civil Code. As regards consumer contracts, Article 1649 quater of the Civil Code requires that the person lodging the claim is a consumer, which is defined by Article 1649 bis as any natural person who is acting for purposes that are not related to his or her trade, business or profession. The consumer may, on the basis of that article, hold a seller liable for any lack of conformity in the products sold. The producer of a defective product could be prosecuted for the crime of unintentionally killing or injuring a person, defined by Articles 418 to 420 of the Criminal Code. These articles make punishable the act or omission performed without the intention of harming or killing a person, which owing to a lack of due care or precaution results in the death or injury of another person. Criminal proceedings will usually be started by the public prosecutor, who will always be the opposing party in those proceedings, but may also be started by an injured party by filing a complaint with the investigating magistrate. Where criminal proceedings have been started, an injured party may lodge its claim in tort directly with the criminal court, which will then render a judgment on that claim in its judgment on the criminal charges. Where an injured party chooses to lodge its claim in tort before a civil court, all civil proceedings will be stayed until after the rendition of the judgment on the criminal charges. The civil court will then be bound by the interpretation of the facts given by the criminal court in that judgment. The justices of the peace are the lowest civil courts. Since they only have jurisdiction over local matters and claims below €5,000, they will only deal with minor product liability cases. Judgments rendered by the justices of the peace can only be appealed if the value of the claims concerned exceeds €2,000. Appeals against judgments of a justice of the peace are generally heard by the courts of first instance, unless where both parties are enterprises under Belgian law, in which case appeals are heard by the enterprise courts. The courts of first instance are Belgium's general courts and are divided into a section for cases regarding minors and family law, a criminal section, known as the criminal court, which has jurisdiction over certain criminal offences, and a civil section, which has general jurisdiction over all civil claims not exclusively attributed by law to other courts. The enterprise courts only deal with disputes between or against enterprises (i.e., persons who permanently pursue an economic goal), which by definition includes most commercial enterprises. The main benefit of appearing before the enterprise courts is that the court is partially composed of lay judges, who are themselves business people and therefore have more knowledge of commercial practice. Appeals against decisions by the courts of first instance and the enterprise courts are heard by the courts of appeal, unless the value of the claim concerned does not exceed €2,500, in which case the judgment becomes final immediately. Appeal judgments of the courts of first instance or the enterprise courts against judgments of the justices of the peace cannot be appealed any further. The courts of appeals may, within the limits of the appeal lodged by the appellant, re-examine the facts and thus are not bound by the interpretations made by lower courts. Against a judgment in second instance, a party may commence proceedings before the Court of Cassation, the highest court in civil and criminal matters. The Court of Cassation's scope of review is limited to procedural issues and the correct application of substantive law. As such, the Court of Cassation must accept the facts it is presented with as they are set out in the appeals judgment. If a judgment is quashed by the Court of Cassation, it is referred back to a court at the same level as the court that rendered the judgment. The general evidentiary rule of Article 870 of the Judicial Code states that each party should furnish evidence of the facts it relies on. The Product Liability Act created a system of faultless liability, meaning that a producer will be liable as soon as it is proven that damage has resulted from a defect present in its product, regardless of whether it committed a fault. Apart from proving the presence of a defect, an injured party will also have to establish that a sufficient causal link existed between the defect and the damage suffered, such that the presence of the defect was a necessary condition for the damage to arise. Finally, an injured party will have to prove the damage it suffered. As opposed to liability under the Product Liability Act, liability under tort law is not faultless. Articles 1382 and 1383 of the Civil Code, the legal basis for the tort of negligence, states that a person will be held to repair the damages caused by his or her fault or omission. A fault can generally be proven by demonstrating that the tortfeasor violated either of two standards: either it violated an obligation imposed on it by the law, or it neglected to behave as a normal, careful and prudent person placed in the same situation would have. The process of proving such a fault is, in some circumstances, made easier by the implementation of Directive 2001/95/EC of the European Parliament and of the Council of 3 December 2001 on general product safety into the Belgian Code of Economic Law. Article IX.2 of that Code of Economic Law contains the obligation for producers to place only safe products on the market. A violation of that obligation may be considered a fault under Article 1382 of the Civil Code. As with claims under the Product Liability Act, an injured party will also have to prove that the fault was a necessary condition for the damage to arise and that it suffered harm. To sufficiently prove its claim in contract, an injured party will have to prove that a defect existed in the product that is the subject of the contract of sale. The standard of proof that the buyer has to meet in this regard is that a characteristic of the product makes it unsuitable for the purpose for which it is intended or less suitable for that purpose, to the extent where the buyer would not have bought the product had he or she known the characteristic. The buyer will also have to prove that that characteristic was already present in its incipiency at the time of the sale. A claim lodged for breach of a consumer contract, based on Article 1649 quater of the Civil Code, requires that the consumer establish that the product was not in conformity with the contract of sale (e.g., because the goods are not of the quality that is normal in goods of the same type and that the consumer could reasonably expect, given the nature of the goods). The injured party will again have to prove that a sufficient causal link existed between the breach of contract and the damage, and that it suffered harm. the defect is attributable to the design of the product in which the component has been fitted or to the instructions given by the manufacturer of the product. Article 10, Section 1 of the Product Liability Act prohibits the producer from contractually creating additional grounds of defence. Article 12 of the Product Liability Act provides a limitation period of three years for claims, starting on the day on which the injured person becomes aware, or should have been aware, of the damage, the defect and the identity of the producer, and in any event claims cannot be brought upon the expiry of a period of 10 years from the date on which the producer put the product into circulation. Against a claim in tort, a producer can only defend itself by proving that its fault was owing to force majeure (i.e., an unforeseeable and irresistible event that made it impossible for the producer to not behave in the way it did). Tort claims are time-barred, on the basis of Article 2262 bis of the Civil Code, five years after the day on which the injured person became aware of both the damage and the identity of the tortfeasor, and in any event 20 years after the day on which the tort was committed. Tort claims are therefore subject to a longer limitation period than claims under the Product Liability Act. A producer might similarly defend itself against a claim in contract by proving force majeure. The statute of limitations on contractual claims expires after 10 years. For proceedings brought before 10 January 2015, the international jurisdiction of Belgian courts is determined on the basis of Council Regulation 44/2001 of 22 December 2000 on jurisdiction and the recognition and enforcement of judgments in civil and commercial matters (the Brussels I Regulation). For cases brought after 10 January 2015, international jurisdiction is determined on the basis of Regulation 1215/2012 of the European Parliament and of the Council of 12 December 2012 on jurisdiction and the recognition and enforcement of judgments in civil and commercial matters (recast) (the Brussels I Recast), which superseded the Brussels I Regulation, but leaves much of its rules for establishing jurisdiction untouched. Claims against persons domiciled within the European Union must, on the basis of Article 2 of the Brussels I Regulation and Article 4 of the Brussels I Recast, be brought before the courts of the Member State of domicile of that person; however, exceptions to this general rule exist. First, if the injured party is in a contractual relationship with the producer of the product, Article 5.1(a) of the Brussels I Regulation and Article 7.1(b) of the Brussels I Recast allow it to sue before the courts of the Member State where the defective product was delivered. Furthermore, Article 16.1 of the Brussels I Regulation and Article 18.1 of the Brussels I Recast allow the injured party, should it be a consumer, to sue the party with which it contracted before the Member State of its own domicile, if its counterparty pursues commercial or professional activities in that Member State, and the contract falls within the scope of those activities. Second, if the injured party is not in a contractual relationship with the producer of the product, Article 5.3 of the Brussels I Regulation and Article 7.2 of the Brussels I Recast allow it to lodge a claim in tort before the courts of the Member State where the harmful event occurred. For claims falling outside the scope of the Brussels I Regulation (those against a producer not domiciled within the European Union), the Belgian Code of Private International Law is applicable. Article 5 of that Code again states the general rule that a defendant should be sued before the courts of its domicile. However, if a contractual relationship exists between an injured party and the producer of a defective product, the injured party may sue before the Belgian courts if the contractual obligation concerned was created in Belgium or was to be performed in Belgium. Where no contractual relationship exists between the injured party and the producer, the producer may be sued in tort before the Belgian courts if either the tort was committed or the damage occurred in Belgium. Expert witnesses are frequently appointed by courts, especially in product liability cases, which by their nature concern technical or specialist issues. Courts are rather reluctant to rely on the findings of experts who conduct their inquiries at the request of one of the parties alone, as they are suspected of bias. Courts will therefore usually appoint independent court experts, which they can do at the request of one of the parties or of their own motion. These court experts will allow the parties to comment on a draft report, produce evidence they consider relevant and ask additional questions, to ensure that each party's viewpoint is taken into account. In the majority of cases, the conclusions drawn in the court expert's final report are accepted by the court as fact. Belgian law does not provide for the possibility of discovery or depositions as they are known in common law jurisdictions. Parties have to produce those documents that they consider necessary to substantiate their claims themselves, and are not under an obligation to produce any documents that would contradict their claims. Belgian law does know one general exception to this rule. Article 877 of the Judicial Code allows a court, of its own motion or at the request of one of the parties to the dispute, to order the production of a document, regardless of whether it is held by a party to the dispute or a third party, where there are serious, precise and concurring presumptions that that party is in possession of the document and that the document contains evidence of a fact that is relevant to the case. Where multiple parties would be held jointly and severally liable by a court for the same error or for separate errors that caused the damage to the injured person, the injured party may claim payment of his or her entire damage from one liable party. That party may then claim contribution in that payment from the other liable parties, each having to contribute in proportion to the gravity of the contribution of their fault to the causation of the damage. The risk of insolvency of one of the liable parties is borne by the other liable parties, such that where one of the liable parties defaults on his or her contribution in the damages, the others will have to distribute this loss among themselves. Thus, where multiple parties are held liable, the injured party is protected against the insolvency of one of the liable parties, since it can claim full payment from the most solvent liable party. Actions for collective redress became available under Belgian law by the entry into force on 1 September 2014 of the Act of 28 March 2014 on the insertion of a Title 2 'Actions for collective redress' into Book XVII of the Code of Economic Law. Actions for collective redress are only available to specific group representatives acting for consumers or SMEs whose claims are based on specific statutes, and only for cases where the cause of the collective harm occurred after 1 September 2014. Pursuant to Articles XVII.36 and XVII.37 of the Code of Economic Law, the Product Liability Act is included in this list of specific statutes on which a class action may be based. 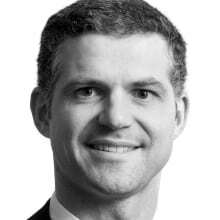 Whether the class action requires plaintiffs to opt in or opt out is, for Belgian plaintiffs, left up to the discretion of the court; however, an opt-in system must always be used for foreign plaintiffs. An action for collective redress can only be brought by a group representative, which may be either an organisation that is part of the special advisory council on consumption or the High Council for Self-Employed Persons and SMEs, the Federal Ombudsman for Consumer Affairs, or any organisation authorised by the Minister, or any non-profit organisation authorised to act as a representative body in another Member State of the European Union or the European Economic Area. Before the court assesses the class's claim on its merits, it must first set a period during which the group representative and the defendant must negotiate on a collective settlement. If a settlement is reached and receives court approval, it becomes binding on the entire group. Only when no such settlement can be reached will the court hear the case on its merits. In addition to the possibility of an action for collective redress, actions brought separately by different persons but having the same object may be joined where the court considers it beneficial. Belgian law turns on the principle that damages should place the injured party in the same position it would have found itself in had the event causing the damage not occurred. This includes not only damages for costs that have actually been incurred owing to the injury, such as hospitalisation and recovery costs, but also non-economic (moral) damages for pain, suffering and disfigurement. Punitive damages, however, cannot be awarded. There is no cap as to the amount of damages recoverable under Belgian law. Under the Product Liability Act, damages for personal injury are subject to the general principles of Belgian law (i.e., that both costs incurred and moral damages must be awarded), but damages suffered to goods may only be awarded if the goods are ordinarily intended for private use or consumption and are used by the injured person mainly for his or her own private use or consumption. Even when damage to goods satisfies these two conditions, damages may only be awarded for the amount exceeding €500, so that the injured party must bear the first €500 in losses itself. The current Minister of Justice has undertaken a project to fully overhaul and reform the Belgian Civil Code. As part of that project, a commission for the reform of liability law was established by Royal Decree of 30 September 2017. In 2018, that commission published a proposed bill on liability law for public consultation, which ended on 1 May 2018. In that preliminary draft bill, the commission proposed taking over the provisions of the Product Liability Act verbatim, and did not substantively change the rules on tort liability. These drafts would therefore not substantively change the product liability regime already in place in Belgium, but would make the rules on tort liability more comprehensive. However, it has since become increasingly likely that Parliament might abandon the plan to reform the Civil Code. Apart from this, 2018 saw one interesting judgment on product liability published. That judgment of the Antwerp Court of Appeals concerned two individual plaintiffs who had bought a wood preservative from the defendants in 1982. That preservative had since become illegal owing to the toxicity of some of its chemical components. The plaintiffs alleged that they had suffered personal harm because of this toxicity, and had sued the defendants for damages. Since the preservative had been purchased before the entry into force of the Product Liability Act, the plaintiffs could not bring an action based on that Act, and instead brought a claim in tort and a criminal claim for unintentional injury. The Court dismissed that claim, holding that the plaintiffs did not sufficiently prove that the defendants had committed a wrongful act by putting the wood preservative into circulation. The Court based this conclusion on the finding that, on the one hand, no product safety regulation prohibited the sale of the toxic ingredient concerned at the time, and, on the other hand, that the defendants could not have known based on the state of scientific and technical knowledge in 1982 that the product would be toxic to its users. 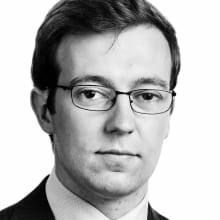 1 Stefaan Loosveld is a partner and Gert-Jan Hendrix is an associate at Linklaters LLP. 2 Cases C-503/13 and 504/13 Boston Scientific Medizintechnik GmbH , paragraph 41. 3 The European Court of Justice has held that this defence covers cases where a person other than the producer has caused the product to leave the process of manufacture, where the product was used contrary to the producer's intention, or where the product is used for private purposes or in similar situations (Case C-127/04 O'Byrne  ECR I-1330, paragraph 24; see also: Case C-203/99 Henning Veedfald  ECR I-3569, paragraph 16). 4 The state of scientific and technical knowledge has to be assessed objectively, meaning that it includes all knowledge that the producer should have been aware of, and not only that knowledge of which it was effectively aware.